Premise- Five couples play in five different games with their child. 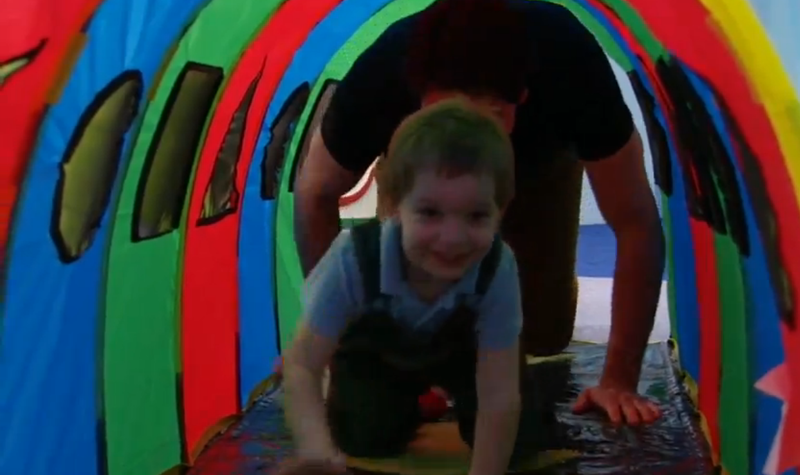 In each game, one parent enters into the “Baby Dome” with their child to play the event, while the other parent stays on the main stage to wager whether or not their child will complete the event, such as stacking cookies or being able to make animal sounds based on the animal they see in a series of pictures. If the parent on-stage can correctly predict their child’s behavior in the event, the couple will win $5,000 toward their child’s education. Otherwise, they win nothing in the round. After all five events have been played, a parent from each of the five couples will be brought on-stage to solve a rebus puzzle hidden under a mound of toys in the Baby Dome. 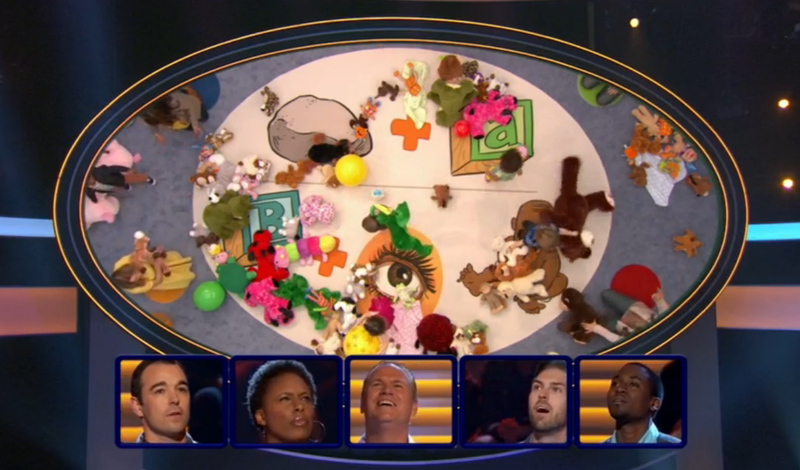 In order for the on-stage contestants to see the puzzle, the parents inside the Baby Dome will have to instruct their child to remove the toys from the pile. The first parent to buzz-in with the correct answer to the rebus puzzle will advance to the end game. 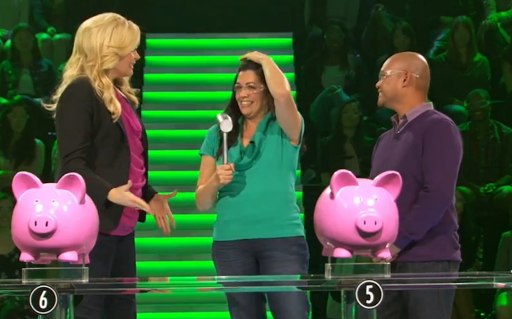 In the final round, the winning couple will have to smash up to five piggy banks out of ten. Inside each piggy bank is bonus cash towards their child’s education ranging from $500-$50,000. The couple may choose to stop and keep what they have won after smashing a piggy bank, but they must keep what they have won after smashing their fifth piggy bank. A couple could win a maximum of $55,000. When producing a game show which actively involves young children ages 5 and younger, there are a lot of factors that need to be taken into consideration. Some of those factors include not making the games too lengthy for children with short attention spans, creating games simple enough to effectively test the children’s intellectual ability such as Child’s Play in 1983 and making the show competitive enough without turning it into an “everybody’s a winner, free-for-all” program, such as Baby Races in 1993. After watching the first episode of Bet On Your Baby, I can tell that the producers have done their homework when creating this show. The show has a good format, similar to The Price Is Right‘s “Pricing Games, Showcase Showdown, Showcase” structure. The games test the parent’s intuition in terms of how well they know their children, and exhibit their parenting skills as well as their child’s motor skills, comprehension, and intellectual ability. The games are also simple and short enough to match a child’s short attention span and fun enough to hold their attention to finish the event. I also like not involving the children in the high stakes end game. I say this because there are people out there who don’t take losing too lightly, especially if winning the grand prize rides on their child’s performance. Case in point: According to a interview with Marc Summers, there was an incident that occurred on Family Double Dare when a child’s father “almost killed his kid backstage” when his child missed winning a car by seconds and staff members had to pull him off of his child. I hate to hear bad experiences like that and I would hate for something like that to happen on this show, especially to younger children. There were a few elements in the show which surprised me such as not having additional family members invited on stage for “support” and how the show is not completely dedicated to a solo competition. The contestant coordinators have done an excellent job of selecting parents with personality, with children who are cute, adorable, well-behaved, and competent enough to play on the show. I like the giant playroom setup of the Baby Dome and how it’s secluded from the the main stage so the parent(s) won’t interfere with the child’s performance in an event. As host, Melissa Peterman is the perfect candidate for this show. Peterman knows the shows well and has a lot of energy and enthusiasm to get the contestants, studio audience, and the home viewers excited about and engaged in the game. She is also very good with children through watching the Baby Talk segments before the breaks, which is a huge plus. I honestly cannot think of a better host for this show. The cash prizes are good for a primetime game show, although the main game prizes could use some variety such as giving away a Disneyworld Deluxe Day Trip in addition to money toward their child’s education. 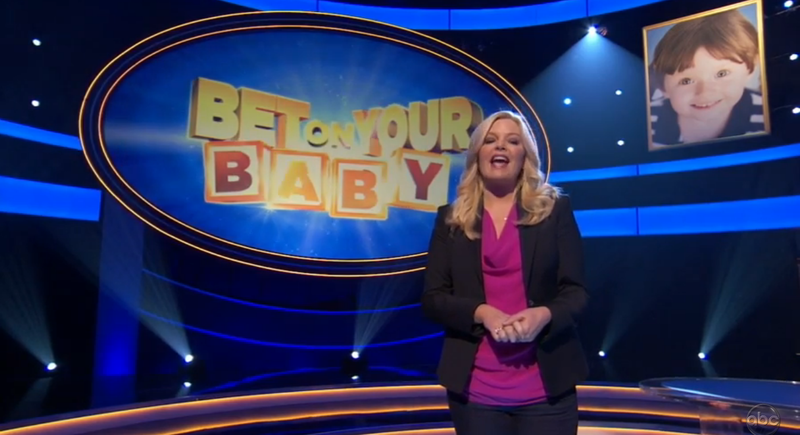 Overall, Bet On Your Baby is a fun way to kill an hour. It’s a good show with a solid format, slight suspense, and an excellent host, but I don’t see this show sticking around for more than a season, mainly because of its current Saturday night “death” slot. If it were schedule during the weekdays, this show would at least have a fighting chance. In fact, I can’t think of a game show which primarily aired on the weekends that has lasted for more than one season. 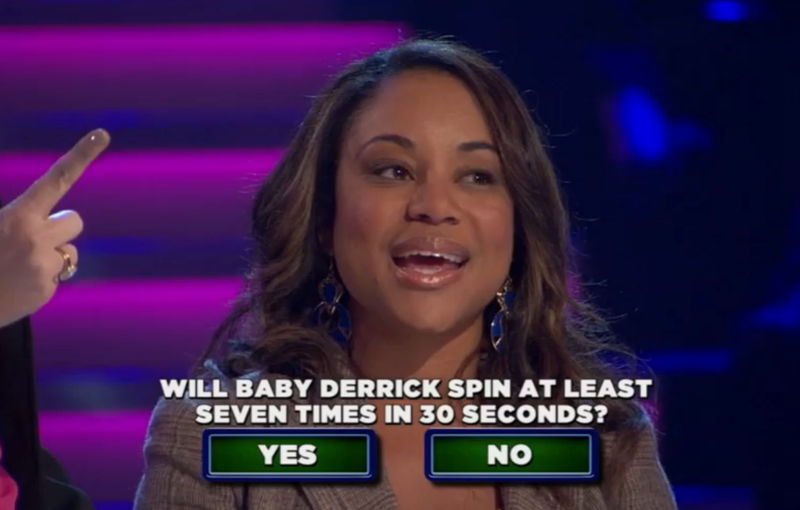 Watch new episodes of Bet On Your Baby Saturdays at 8:00pm on ABC!